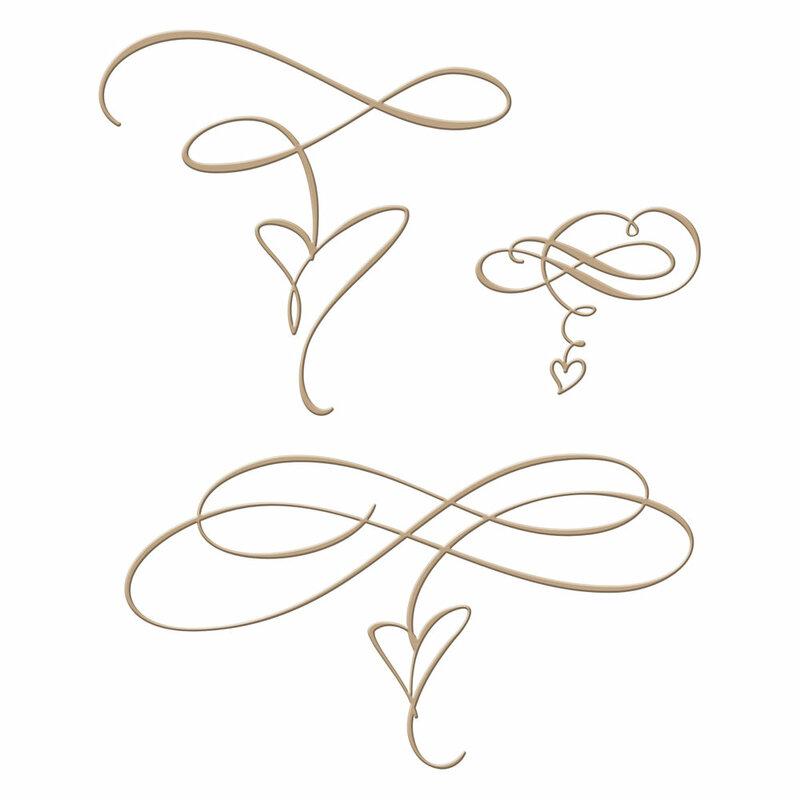 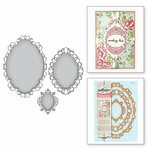 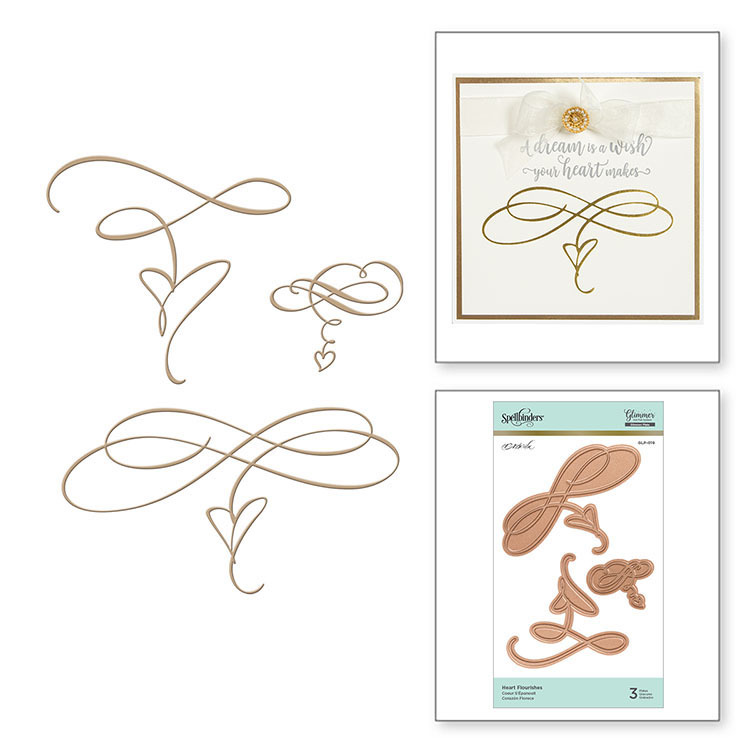 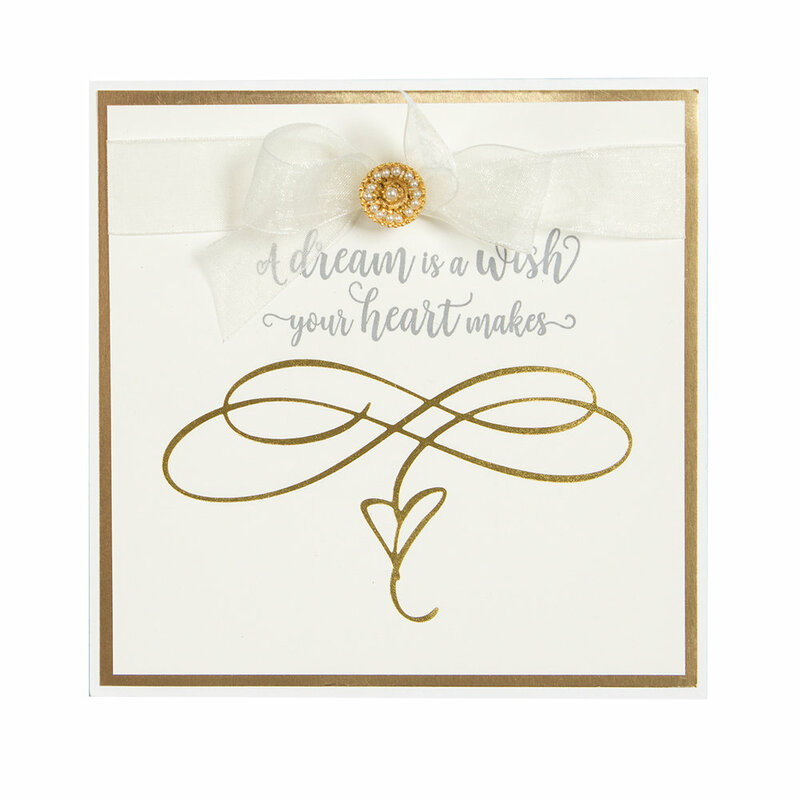 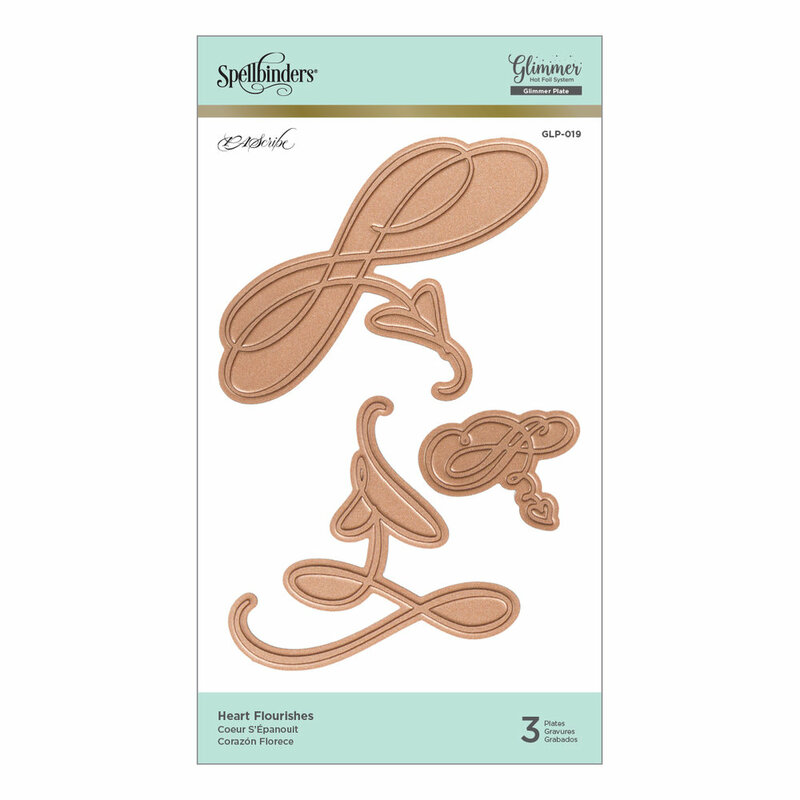 Add emphasis to any sentiment with the Heart Flourishes Glimmer Plate from Spellbinders. 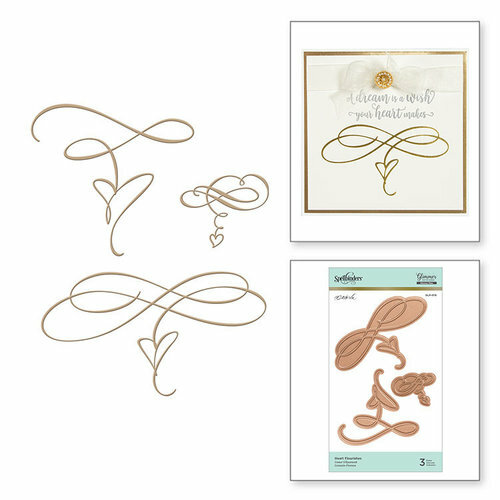 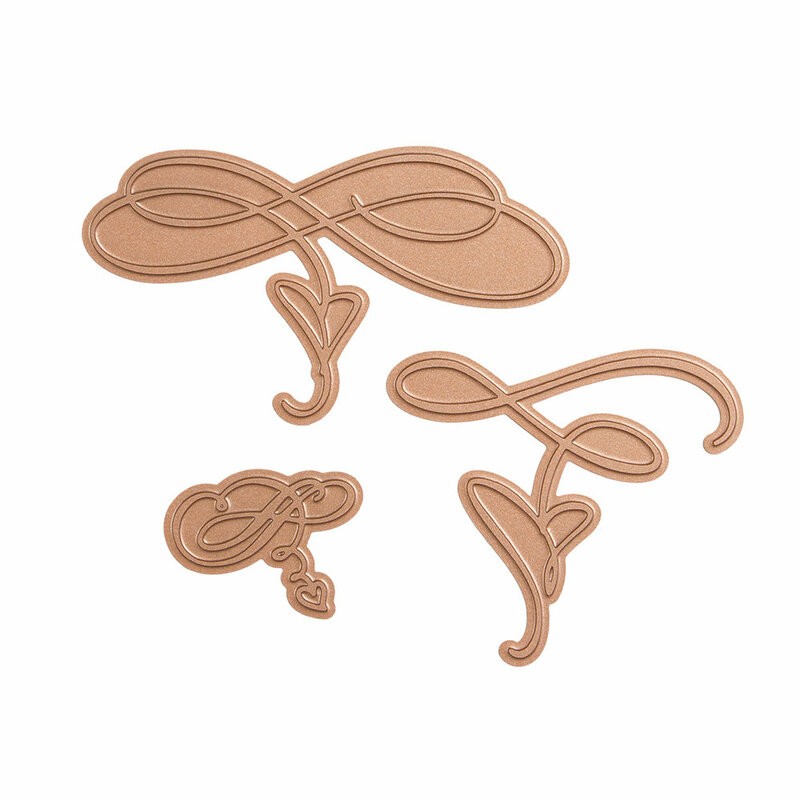 There are 3 chemically etched metal plates included that are designed by Paul Antonio for use with the Glimmer Hot Foil System (sold separately). 1.875" x 1.5" to 4.5" x 2.5"